Welcome to my website. My Name is Yadesa Bojia. I was born in small town near the capital city of Ethiopia called Ambo. I studied in Ethiopia until I graduated from a Commercial College and moved to US in 1995. Today, I am Graphic Designer and a fine art Painter. As I remember it, my first exposure to art was as a child gazing at murals often found in Ethiopian Orthodox churches. These murals used line drawings filled with bold vibrant colors. They are famous for communicating religious histories to their audiences. One can simply look at my work and see how much these paintings influenced me. In Seattle I studied art at Seattle Pacific University from which I earned a Bachelor’s degree in Visual Communication. I also attended Seattle Central Community College from which I received an Associate of Arts degree in Graphic Design. As a painter, my exposure to both African art and Western art provided me a unique opportunity to understand their relationship as well as their differences. While studying art, I examined how most art genre and classification derived or inherited from each other and the existence of one was based on that of the other. I also examined the influence of African art upon Western art and vice versa. As a designer, I use my artistic talent in combination with my training and work experience to solve challenges. As defined by AIGA (The professional association for design), Graphic design is a creative process that combines art and technology to communicate ideas. The designer works with a variety of communication tools in order to convey a message from a client to a particular audience. The main tools are image and typography. As a graphic designer with a fine art interest, I clearly understand the importance of knowing the difference between the two discipline. Graphic Designer have to know, his work is a communication material. It have to solve challenges and make day to day life easy. Whether it is a directional sign or a poster, A billboard or a door hanger, a T-shirt design or a Flag, designers have to think of the audience, the message, the client and the challenge at hand. Where as a fine artist have a tendency and opportunity to challenge us by showing us the real and the unreal. I believes my work is the by-product of the cultural differences I enjoyed while living in Addis Ababa, the capital of Ethiopia, and in Seattle, Washington. I also believe artists have a very unique opportunity, as well as responsibility, to work for justice, equality and truth. I am also a father and a husband. Regardless of what I do in my life, I keep the title of being a family man above all. My family are simply the light of my life. I lives in Shoreline, Washington with my wife Hewan and our daughter Becca Bojia and son Isaiah Yadesa Bojia. i am proud of you!!! Yes I am from Ambo Kiyya, Thank you for the kind word. please keep in touch! Hi Yadi,Hewan and beloved children,I am from Mekelle tell u frank I am proud of your work (AU emblem)regardless of our family relationship. You may surprise who I am and what relationship we have?let me clarify,your wife’s father is my uncle and my mother’s name is Gezache W/kidan .So I am proud of your work and…Wish u and family all the best! God Bless my Oromo Brother!!! Why do you like to say Asgori tthan Ambo whitch is 20 km away? a village whitch you bornt is Gatiro-Goda. Yadessa, have you ever been In Gatiro? would you suppose to do some concert there for the life change of people around there? I love what you do with your life as painter, artist and musician. You are already an icon with your AU graphic design. A lot of young people from Finfinnee (other call it Addis Abeba) look up to you to become successful being just like you. Thank you for being an inspiration and ideal for some of us. Then, I have to be honest to myself by asking you a question or leaving you with suggestion. I am a proud Ethiopian who believe in my Oromo identity, I was born Oromo and die Oromo. I love all my non-Oromo brothers and sisters. Non-Oromos are my blood just like my Oromo family. Based on the above statement, where do you stand as to your Oromo identity. You carry the most clear and legit oromo name. I haven’t seen you or heard you expressing your oromo identity anywhere. You can be a proud oromo and proud Ethiopian. It not mutually exclusive. I feel like you reserve your freedom to express your Oromo identity. Can you please clarify all Ethiopian people about this identity? second question: can you speak Oromiffa? Third question: Where can I buy your Album. You have not done enough promotion among the Oromo people. 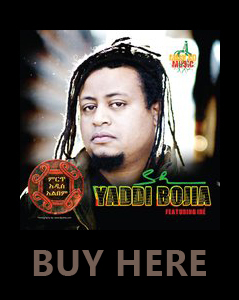 Nobody among the Oromo knows that you have an album. We need to buy all of your CD. can you find a way to distribute the album effectively? Hi Yaadesa! I followed your presentation on OSA and your interview with Abdi Fixe. I also got acquainted with your web-page, that is why you are reading this commente, of course. It is really exciting to be informed that a new generation of Oromoo artistes are sprouting to reinforce the works of the old gurads. Specially multi-talented artistes like you are what the emerging Oromoo cultural awarness needs. So, please keep up the wonderfull work. 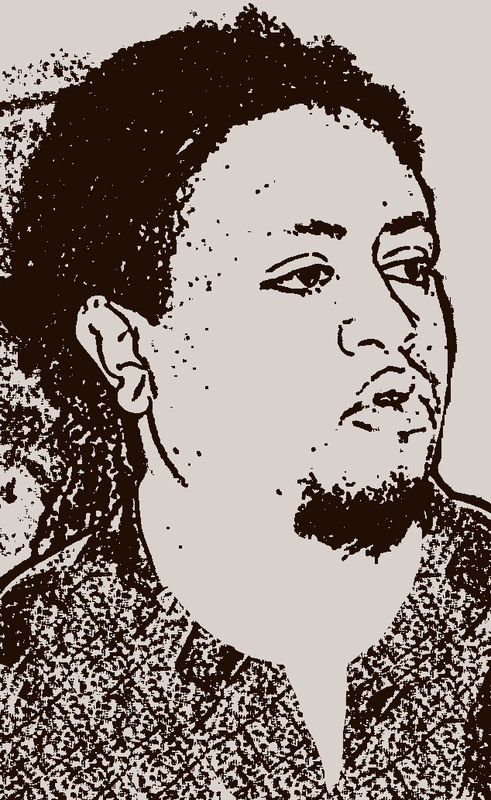 You might also be interested to know the existence of a web-page that deals with Oromoo falk as well as modern poetry entilted: http://www.oromooliteratuire.com. Some, with English, Finnish, and Amharic translations. I hope you pay it a visite when you have the time.